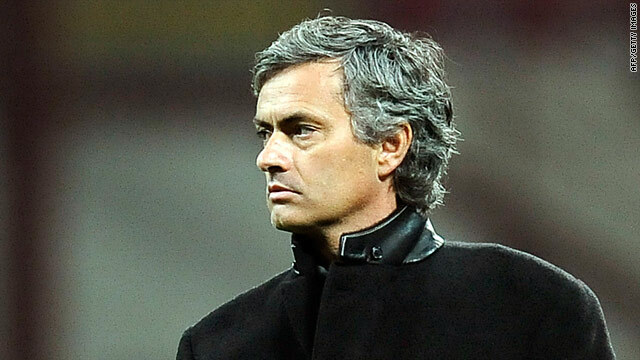 Inter Milan coach Jose Mourinho could be in hot water after his confrontation with a journalist. (CNN) -- Inter Milan coach Jose Mourinho has been accused of "physical and verbal aggression" towards a journalist after Sunday's 1-1 Serie A draw at Atalanta. The Italian Sport Union of Journalists (USSI) condemned Mourinho's alleged actions against Corriere dello Sport's Andrea Ramazzotti. A statement from the USSI urged Inter president Massimo Moratti, and the country's governing sporting bodies to investigate. It read: "The physical and verbal aggression of Inter coach Jose Mourinho towards our colleague Andrea Ramazzotti marks one of the lowest and alarming moments in the relations between football and sporting press. "Mourinho was already cited, prior to the Champions League game with Rubin Kazan, for his uneducated and disrespectful tone that he used towards certain colleagues. "This aggression marks an irresponsible and unacceptable escalation. USSI expresses not only its indignation, but a strong concern for gestures and the unspeakable behavior that only increases tensions and controversies. "It asks president Moratti to intervene energetically so that a member of his club (Mourinho) adapts to the great tradition of civility of the club and of the Moratti family. "It asks as well of the FIGC (Italian Football Federation) that the sporting justice panel intervenes to examine the behavior of Mourinho for eventual sanctions." Mourinho watched Sunday's game from the stands as he served a one-match touchline ban. Reports in Italy have claimed a heated argument took place between Mourinho and Ramazzotti outside the team bus. Mourinho has not commented on the incident but Moratti told the club's official Web site: "For the moment I don't want to comment as I still don't have all the facts, but I'm sorry. "I will talk to the head of the union to find out what he means by energetic action."